Moderating Writing is Essential – A great activity for teachers which encourages targeted discussion. Today I led a writing moderation session with a group of teachers. Moderating writing is time consuming, however, it is an essential component of assessment. Teachers were asked to bring six writing samples from their class. These samples could represent the range of standards, or a random selection. After visiting the English Continuum P-10 Writing Developmental Overview, the teachers were asked to read each sample, discuss and place the writing as a continuum. The samples were not placed according to progression points / Victorian Essential Learning Standards at this stage. 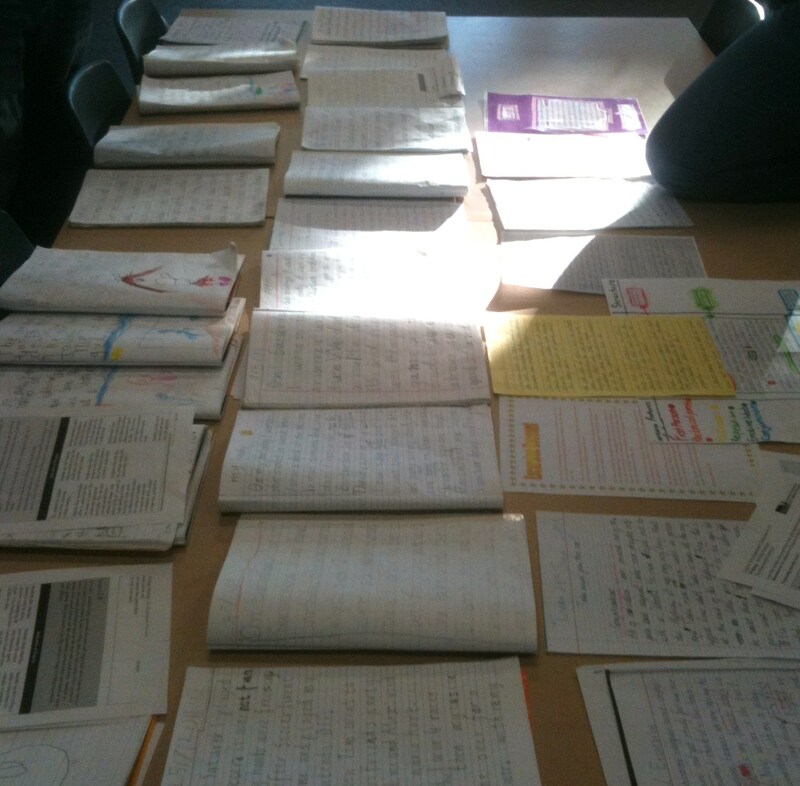 Once the continuum was completed, teachers were asked to read, discuss and match samples to progression points. The discussion was excellent, with some samples requiring detailed examination. There were some changes made to the initial placement of writing samples after referring to the writing developmental overview. I have asked this group of teachers to complete the same activity with their year level team. After placing the samples according to the developmental continuum, discussion centered on the teaching points evident in samples that would need to be taught to move each group of students forward. Would the P-10 continuum be the same to be used in 2016 with the Ausvels Curriculum? Would you know of any updated versions. I’ve been looking at the New Australian Curriculum & Vic Curriculum and there are changes. I’m writing some new continuums myself.